Lake Mead dropped roughly five and a half feet in April, 2013, leaving the largest storage reservoir in the U.S. 50% full. At the end of April, its sister reservoir upstream on the Colorado River, Lake Powell, was 48% full according to a weekly system update from the federal Bureau of Reclamation. 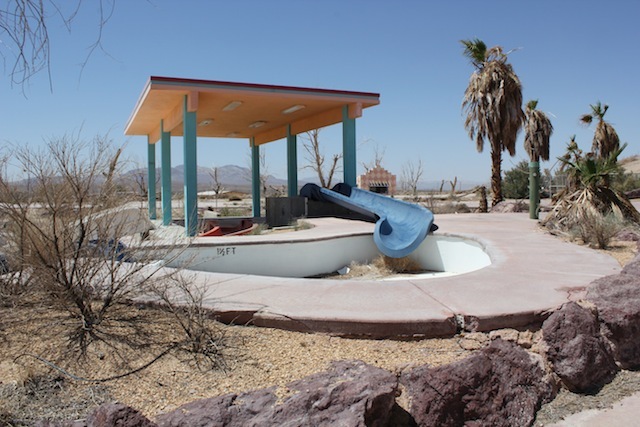 Roughly 100 miles west of Lake Mead, near Barstow, California, the at least twice-failed amusement park “Lake Dolores” (latterly the “Rock-a-Hoola Waterpark“) was theoretically immune to supply vagaries of the river serving seven US states and Mexico. 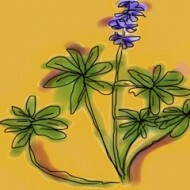 It ran on Mojave Desert groundwater. A contractor found on site yesterday, when these photos were taken, seconded Internet chatter that there are plans to re-open it. 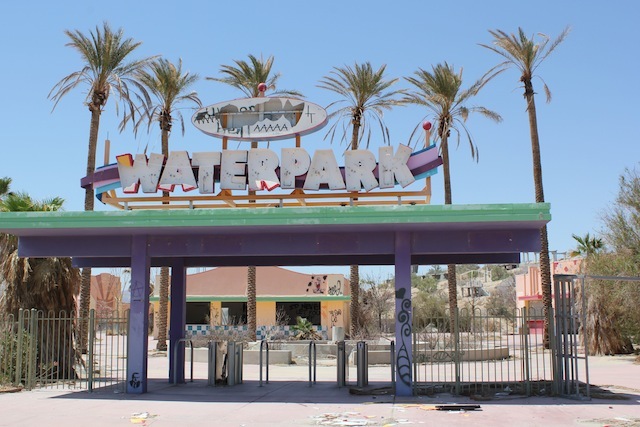 For a complete photo essay of the derelict water park of the Mojave, this time from water news aggregator Chris “Maven” Austin, click here. 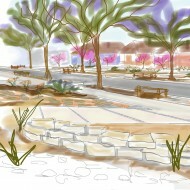 Its more than an exciting development creating a sustainable permaculture through incorporation of the solar station, and the mojave aquafier, wind turbines, and a Desert Agriculture Center. 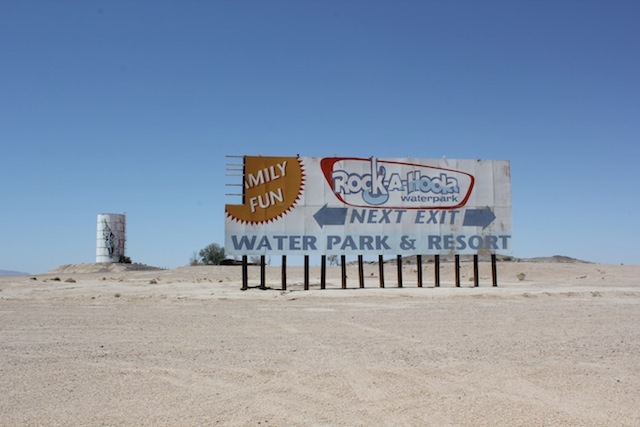 All on the same parcel as the RV Park and resort. Spring 2014.